The price of the OPEC basket of 14 crudes stood at $38.43 a barrel on Wednesday, compared with $38.29 the previous day, according to OPEC Secretariat calculations. 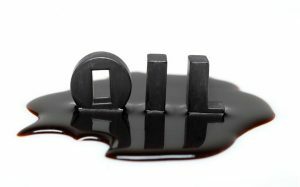 The new OPEC Reference Basket of Crudes (ORB) is made up of the following: Saharan Blend (Algeria), Girassol (Angola), Oriente (Ecuador), Rabi Light (Gabon), Minas (Indonesia), Iran Heavy (Islamic Republic of Iran), Basra Light (Iraq), Kuwait Export (Kuwait), Es Sider (Libya), Bonny Light (Nigeria), Qatar Marine (Qatar), Arab Light (Saudi Arabia), Murban (UAE), and Merey (Venezuela). Meanwhile, His Excellency Mohammad Sanusi Barkindo of Nigeria has assumed office in his role as Secretary General of the Organisation of Petroleum Exporting Countries (OPEC) at the OPEC Secretariat in Vienna, Austria. Mr Barkindo was officially appointed to the post for a three-year term at OPEC’s 169th Meeting of the Conference on 2 June, 2016 in Vienna. He replaces outgoing Secretary General HE Abdalla Salem El-Badri, who has led the Organisation since 1 January 2007. A statement from the OPEC Secretariat said the accomplished oil technocrat and veteran of OPEC brings with him a wealth of experience in the oil and gas industry, both in Nigeria and internationally. From 2009 to 2010, he was Group Managing Director of the Nigerian National Petroleum Corporation (NNPC). Prior to that, he served as Deputy Managing Director of Nigerian Liquefied Natural Gas, a joint venture between NNPC, Shell, Total, and Eni. Earlier in his career, he was Special Assistant to former Minister of Petroleum Resources and OPEC Secretary General, HE Dr Rilwanu Lukman. Mr Barkindo also worked in several key roles at OPEC between 1986 and 2010. In 1986, he was appointed to Nigeria’s delegation to OPEC, and from 1993 to 2008, served as Nigeria’s National Representative on the Organisation’s Economic Commission Board. In 2006, he served as Acting Secretary General of OPEC, and represented Nigeria on OPEC’s Board of Governors from 2009 to 2010. He has also helped produce the United Nations Framework Convention on Climate Change (UNFCCC) and the Kyoto protocol as the leader of Nigeria’s technical delegation to the UN negotiations since 1991. He also served as Vice President of COP15 in 2010, when he chaired the opening session in Copenhagen attended by more than 100 heads of state and government. He is the longest serving member of the country’s delegation to the UNFCCC. He also served as Chairman of the OPEC Task Force of the United Nations Commission on Sustainable Development for the 15th session. After earning a bachelor’s degree in political science from Ahmadu Bello University in Zaria, Mr Barkindo went on to achieve a postgraduate diploma in petroleum economics and management from the College of Petroleum Studies at Oxford University and a master’s degree in business administration from Southeastern University in Washington, DC. He is also a holder of an honorary doctorate degree in Science from Modibbo Adama Federal University of Technology, Yola, Nigeria. He is a fellow member of various international petroleum institutions such as the Institute of Petroleum, London.